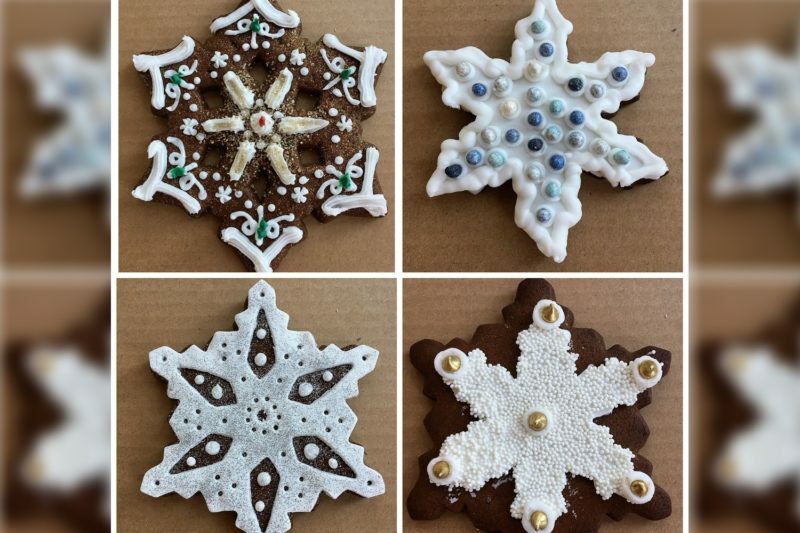 Royal Icing, although sounding very glamorous and fancy, is actually a very simple recipe that’s easy enough for children to make for their own holiday cookie decorating. We think ours is PARTICULARLY fun to use because it was also the recipe used since the Carter Administration at The White House. Our very own Donna, AKA “The Left Cheek” worked for 2 US Presidents (Clinton & G.W. Bush) and learned many cool tricks and recipes from the famous White House Pastry Chef Roland Messnier. Chef Roland was kind enough to publish some of his work and give us a few perfect recipes. 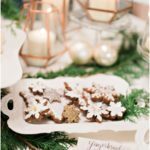 Just add your favorite gel colors to decorate sugar cookies & gingerbread men, or use as a “glue” for your own gingerbread houses! 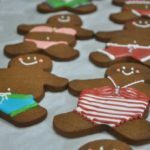 Some fun pics of our Gingerbread Surfers, gorgeous winter cookie designs, and cookie decorating classes with some talented industry friends. 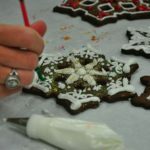 While using royal icing keep covered with damp cloth. Can we order cakes or cookies?